MADRID - After seeing their team suffer its worst scoring drought and lose for the fourth time in five matches, Real Madrid fans ran out of patience. MADRID - Without Cristiano Ronaldo for the first time in nearly a decade, Real Madrid reached the worst scoring drought in its history. Madrid went more than 465 minutes without finding the net in a 2-1 home loss to Levante in the Spanish league on Saturday, leaving new coach Julen Lopetegui under heavy pressure a week before the “clasico” against Barcelona. 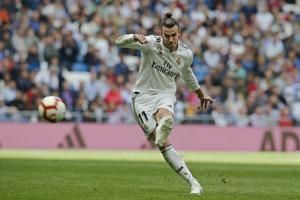 MADRID - Real Madrid reached the worst scoring drought in its history in a 2-1 home loss to Levante in the Spanish league on Saturday.